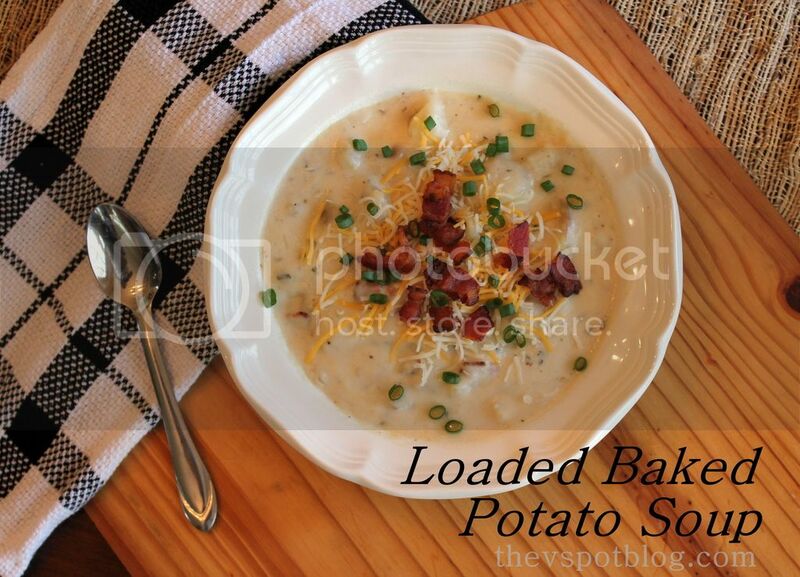 My family loves my loaded baked potato soup. The minute the weather starts cooling down, the dinner requests start coming in. Mitch even requested it as his birthday dinner once. I love it too. It is creamy, warm and delicious. It is also so looooooaded with cream and fat that it might as well be sponsored by the American Dairy Council!! Obviously, I can’t splurge like that on a regular basis. I am not even going to tell you what the fat and calories are in this baby. I will tell you how to make it (if you dare) and then I am going to share an lighter alternative that tastes great and is only 100 calories per serving. 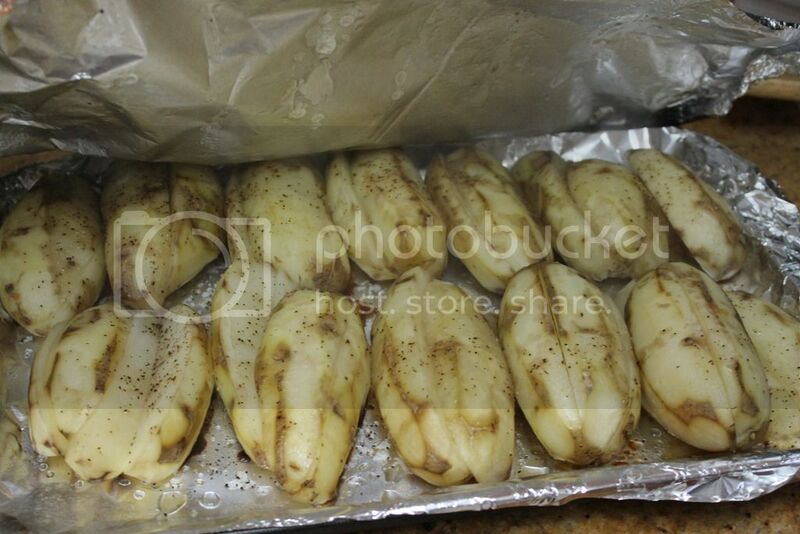 I roughly peel the potatoes because I like a little bit of potato skin left on for flavor and texture. Quarter them lengthwise, drizzle with a little olive oil, sprinkle with kosher salt and fresh cracked pepper. Bake on a foil lined/foil covered baking sheet at 400 degrees for an hour. While potatoes are baking, fry up the bacon pieces until crisp, reserving 3 Tbsp of the drippings… you’re going to saute the diced onion in the bacon grease. (Oh yes, you are!!) After about 3 minutes on medium high heat, when the onion is translucent, stir in the flour and garlic and stir to make a roux. Add in the chicken broth, stirring until the mixture is thick and bubbly. 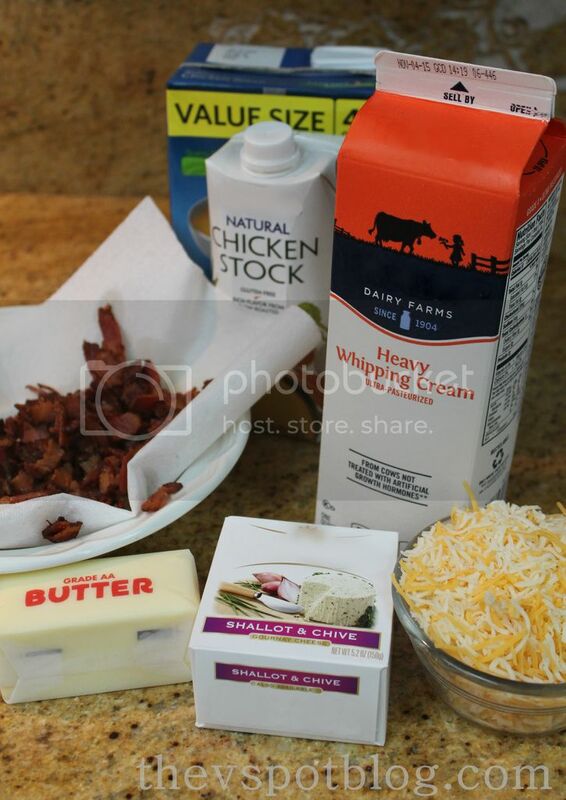 Reduce heat to medium and add in the cheese and the cream, stirring until melty and creamy. Chop potatoes into one inch pieces and add in Tabasco and salt and pepper. Simmer for about 10 minutes. If mixture seems too thick, add more chicken broth until you have the desired consistency. Right before serving, add in the chopped bacon, reserving some for a garnish. Top with shredded cheddar cheese, green onions and bacon. Try not to think about the huge amount of fat and calories. Enjoy. Or…. 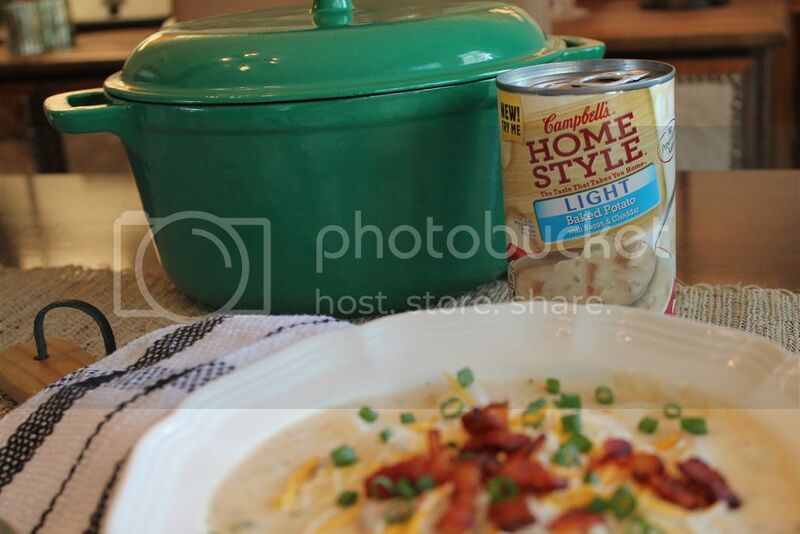 you could also give this yummy Campbell’s Home Style Light Baked Potato with Bacon and Cheddar soup. It had the same satisfying flavors of my homemade soup, but without all of the chopping, baking, frying, shredding and the calories. While the boys and my husband devoured the heavier homemade soup, I felt like I wasn’t missing out while eating the Home Style Light soup. So Good! I even added the same toppings that they did: a little cheese, a little bacon, and some green onions. Yum. Everything you love about homemade soup in a can. @Campbells starts with farm grown vegetables, and they add no preservatives. The soups are available in 29 varieties – it’s a taste of home in every spoonful. Be sure to check out Campbell’s new products and see what’s new! I so appreciate the convenience of Campbells products, especially when life gets hectic. Be sure to check out delicious Campbell’s recipes and make mealtime easier at your house too! Do you have a favorite Campbell’s soup? Or a favorite recipe using Campbell’s? Do tell!